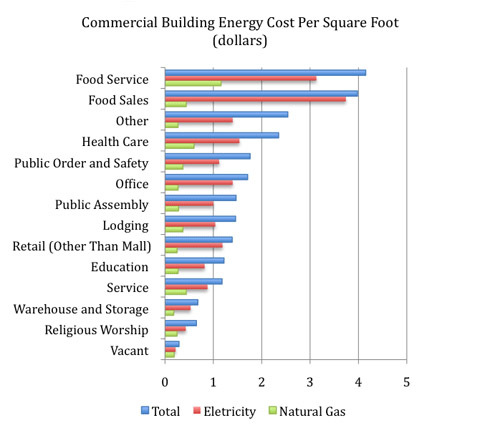 A brick-and-mortar business generally implies consistent energy expenses. 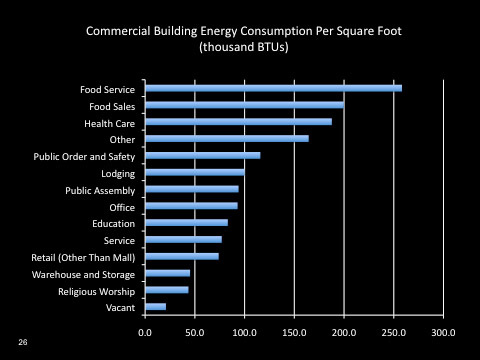 Restaurants are notoriously energy-intensive, topping the chart of the most expensive businesses from an energy consumption standpoint, closely followed by food stores. 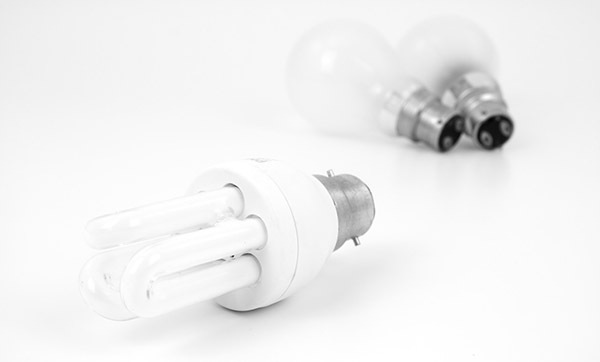 Finding ways to save on energy bills can result in a sizeable increase in profit margin. A comprehensive energy-saving plan should start with an analysis of the current state of energy consumption. Whether using spreadsheets or complex online programs such as the one offered at no cost by Energy Star, this helps identify what a business consumes, how it compares with other businesses and what are some ideas for improvement. A tracking system with online access, usually offered by utilities companies, can provide business owners with more accurate information and uncover energy problems or human habits with room for improvement (like not turning off the lights when they are not necessary or using equipment at full-capacity at downtime). Many times, these simple habits are a major piece of the waste pie. Lighting is a major energy consumer in restaurants and other commercial businesses. Using energy-efficient fluorescent lamps when mood lighting is not important, installing skylights when possible and using motion detectors in low-traffic areas like bathrooms or storage rooms are important steps in cutting down the cost. 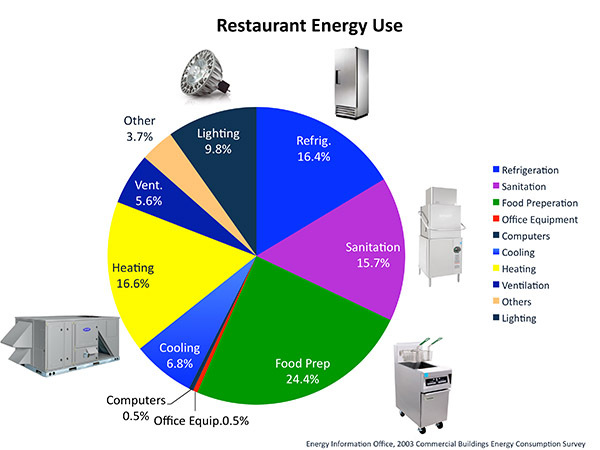 Restaurant equipment should be kept in top shape in order to avoid energy leaks. For example, refrigerators with dirty coils, bad door rubber seals or blocked vents are major culprits in this area. The only way to avoid such energy waste is to keep up with a regular maintenance program, where equipment is checked and repaired when needed. 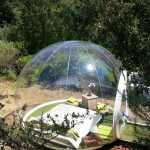 Low-energy appliances may be large initial expenses, but the return on investment is many times short and considerable. 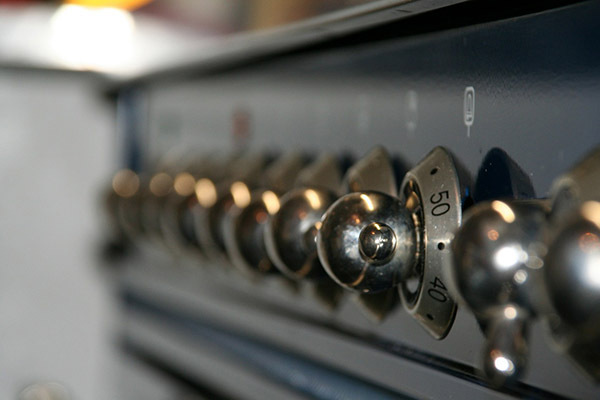 Aside from energy-efficient cooking equipment including Energy Star–labeled steam cookers and fryers or rebate-qualifying convection ovens, costs can be reduced with energy-efficient refrigerators, dishwashers, water heaters (for instance solar or on-demand), low-flow bathroom faucets and automatic turn-off devices that power down electronics at the end of the day. 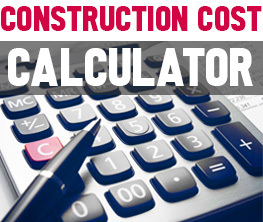 A well-maintained HVAC system that meets the Energy Star standards and provides on-demand ventilation, then a programmable thermostat and a thicker drywall that acts as a better insulator can considerably reduce energy costs. The public generally appreciates the efforts to save energy, so marketing them may actually attract customers. Tax incentives, financing or rebates may be offered for businesses that take steps in conserving energy, saving businesses even more money.